Let me start off by saying Thanksgiving and Christmas came early for this lady right here! Darcy’s Botanicals Pumpkin Seed Curl Moisturizing Conditioner made me feel like I was in a room full of pumpkin pie’s (oh yes…pumpkin pie is my favorite!!!). But even better than the smell, was the moisture and awesome slip this conditioner provided not only for my hair, but my son’s hair as well. Its consistency is thick, and oh yeah… did I say enough about the smell :). You can purchase it here and read other reviews—> Darcy’s Botanicals. And just to give you guys the heads up, for Darcy’s Botanicals Black Friday Sale. Everything will be 25% OFF and in celebration of Darcy’s Botanicals 3 yr Anniversary, she will be including a gift sample with each order shipped out. Sale will start at 12 Midnight and last for 24 hours. 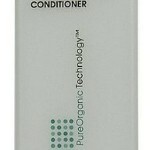 I will be purchasing some more of this conditioner, I hope it doesn’t sell out! As we approach I will remind you guys again about the Black Friday Sale. Ingredients: Distilled Water, BTMS (a mild conditioning emulsifier), Pumpkin Seed Oil, Organic Virgin Coconut Oil, Japanese Camellia Oil, Cetyl Alcohol, Botanical Oil Complex, Hydrolyzed Oat Protein, Panthenol, Phenoxyethanol, Caprylyl Glycol and Fragrance. 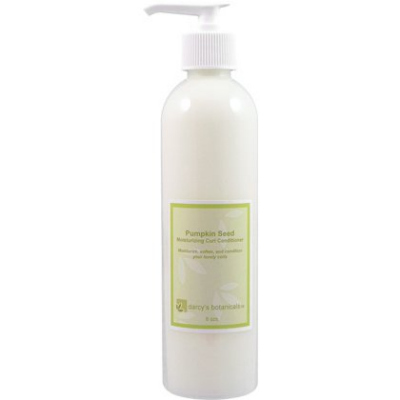 Have you tried Darcy’s Botanicals Pumpkin Seed Curl Moisturizing Conditioner? I now see for real that your whole purpose with this blog is to cause us all to go collectively broke. Lol…nooo @AleeL:disqus :). My motto is : “don’t spend it, if you don’t have it!” I am a product junkie in denial though, and this conditioner is awesome! I do need to chillax though and continue to save my money, but thats another story for another post ;). Lol…@facebook-500592830:disqus , i wish you could eat it! Buy it during black Friday so you can get the deal :). Thats for you too @AleeL:disqus , I don’t want you guys going broke!